+ check out photos from the show! If music is the ultimate form of escapism, Zeshan B has built the getaway vehicle. His recent performance in Cambridge, Massachusetts in 2017 could, at times, have been Memphis, Tennessee in 1970. At other times it could have been present day India, or even Italy. With an infectious smile, the Chicago native beckoned us into the passenger seat and took us all on a journey. 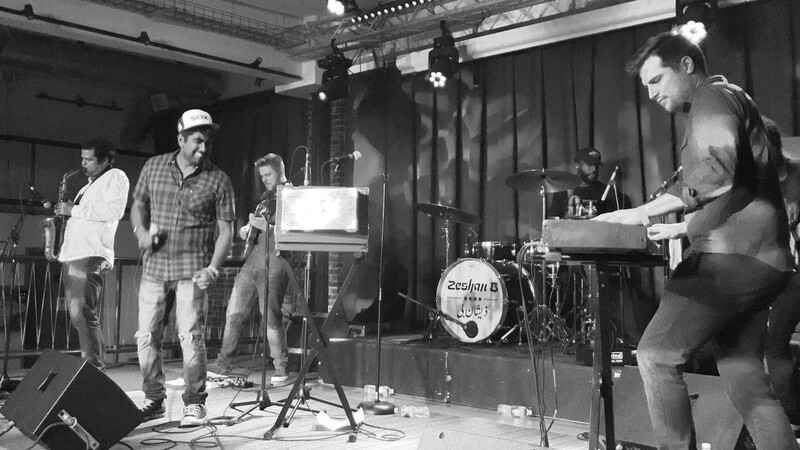 Fresh off his TV debut on The Late Show with Stephen Colbert, Zeshan Bagewadi kicked things off with “Lonely Man”, the first song off his debut LP, Vetted. A remake of Spencer Wiggins’ 1967 version, it was our first odyssey back in time and space. 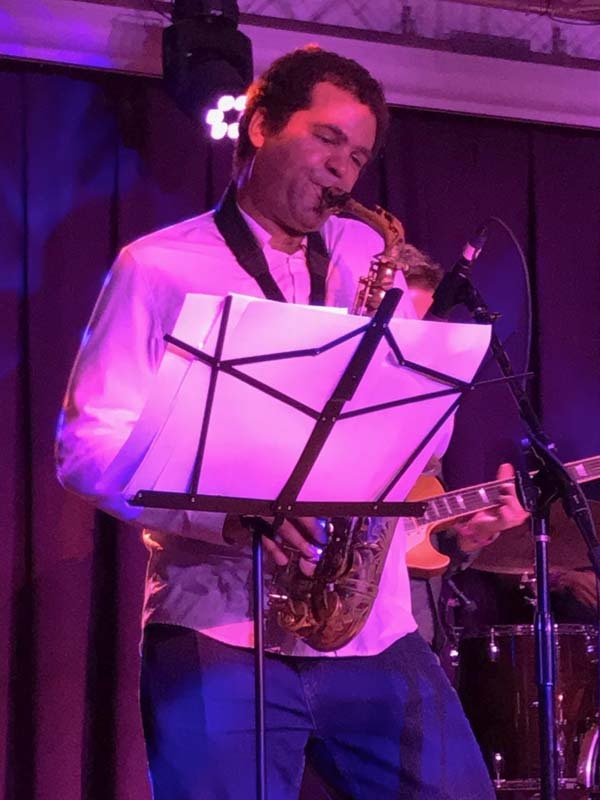 Zeshan’s crisp vocals and ridiculous range were accentuated by the top notch instrumentals of his band, which included plenty of sax from Greg Ward. The “deep soul” present in the original song shone through. Standing center stage at his harmonium, White Sox hat cocked to one side, Zeshan looked every bit as psyched to be performing as the audience was to be on the voyage with him. During “Breaking Point”, there was a minor shift in theme to the current events going on in the world. He nailed the falsetto, as he did throughout the night, especially on the line “I can’t take it”. Just when we thought we’d arrived back home, Zeshan decided to “try something out” on us. He launched into a version of “Tu, Ca Nun Chiagne”, an Italian operatic song. The Tenors, who had just performed in Niagara Falls, would have been proud. 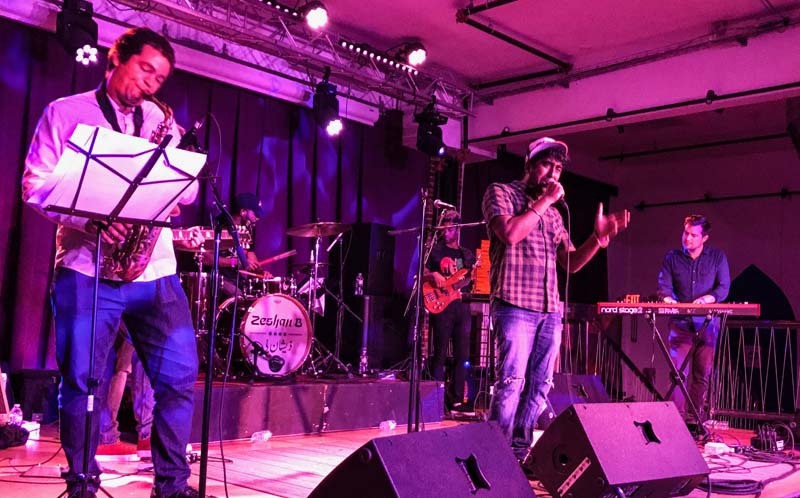 “They probably can’t groove like we do,” Zeshan mused after the show. The ballad touched the listeners’ souls, just as it had when he performed it live on The Late Show. Americans had been marching in the streets of Charlottesville, and he captured this moment just as George Perkins did in 1968. It was a touching time piece, and the last track we heard before arriving back at our destination, the echo of his pure voice still ringing in our ears.